 The Canadian Neuroradiology Course was developed by the Neuroradiological Subcommittee of Royal College of Physicians of Canada with input from all academic Neuroradiology programs across the country. It is aimed at senior residents interested in diagnostic Neuroradiology, fellows currently enrolled in diagnostic Neuroradiology Residencies and Fellowships across Canada, junior staff and community radiologists interested in gaining further experience in diagnostic Neuroradiology. It will span all aspects of diagnostic Neuroradiology in two courses of three days each that will be given within a two year period. The first part of the course took place in November 2018 in Toronto and was deemed by participants and faculty as a huge success. More than 90 participants from all over Canada joined this course and praised the collegiality, the opportunity to meet other fellows from all over the country, to network and meet faculty from across Canada. The quality of lectures and speakers was deemed by all as very high and especially the “Case-based” sessions were regarded as a highlight. While the first course dealt with Pediatric Neuroradiology, Oncology and general aspects of Neuroradiology, the focus of the second part of this course will be on Vascular Diseases, Head&Neck Imaging, Trauma, Infectious and Inflammatory Conditions and Spine. The Canadian Society of Neuroradiology has enthusiastically supported this endeavor as it presents a truly pan-Canadian effort in teaching all aspects of diagnostic Neuroradiology on a high level for the future generation of leaders in Neuroradiology as well as those beginning their career or establishing their practice in this exciting and ever evolving field. The course will be practically oriented, will have significant components of interactive presentations using Audience Response Systems and will include our clinical counterparts such as Neurologists, Radiation Therapists, and Neurosurgeons. We are looking forward to welcoming you to Toronto! This program was developed following a review of objective data including practice data, literature surveys/reviews, consultation with experts in the field, and the experience and needs perceived by members of the planning committee. As well, subjective data from the previous year’s evaluations was reviewed in detail to create a focus for this year’s program.